Originally designed in 1966 by Milo Baughman, our 951 lounge chair is one of the most iconic chair designs of the midcentury modern era. 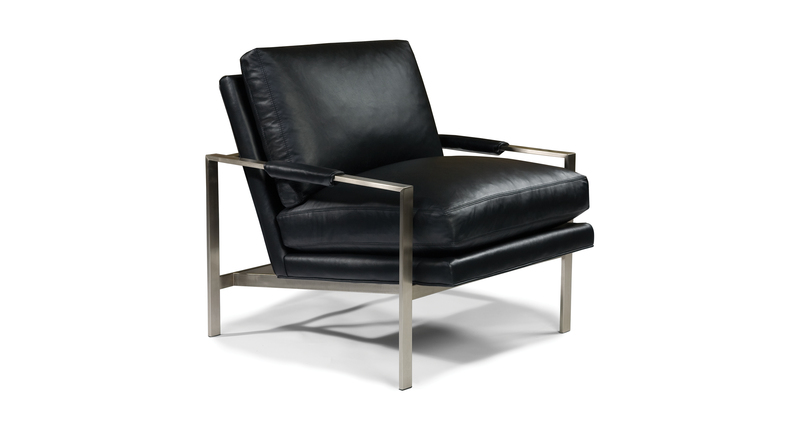 Our timeless classic modern 951 chair is available in either brushed nickel finish, brushed bronze finish, polished stainless steel or satin brass finish. Select any of our in-house curated fabrics or leathers for upholstery. Shown in brushed nickel finish. Available in brushed nickel (No. 951-103), brushed bronze (No. 951-103-B), satin brass (No. 951-103-SB) or polished stainless steel finish (No. 951-103-PS).